Advertisement is a complex form of communication and serves many functions – increasing awareness, influencing the audience, public imaging, and creating demand – to name a few. With shopping currently a multi-channel activity, advertisement plays a key role on shifting and influencing consumer shopping preferences. With the rise of technology and digitalization, shopping activities can be called a journey nowadays. 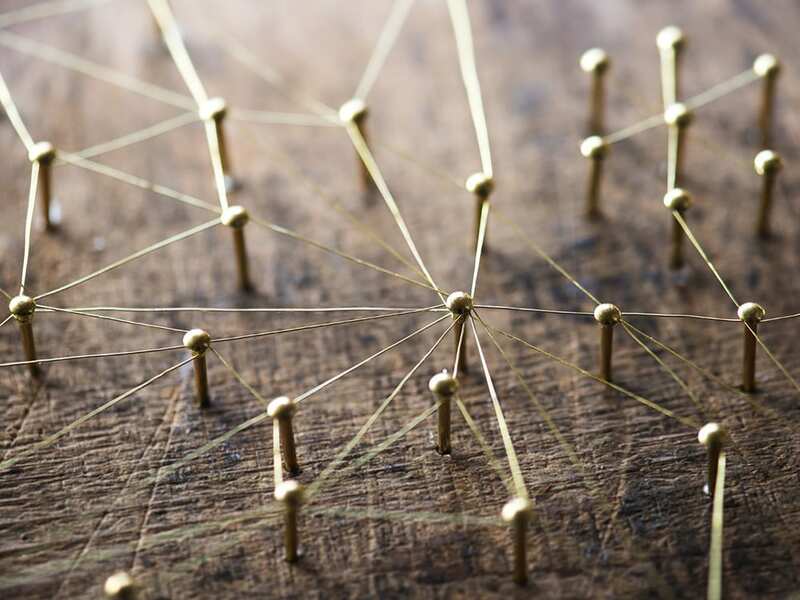 A simple act of demand and supply now turns into more complex activities that could involve researching, comparing, asking, advocating, and even growing loyalty. 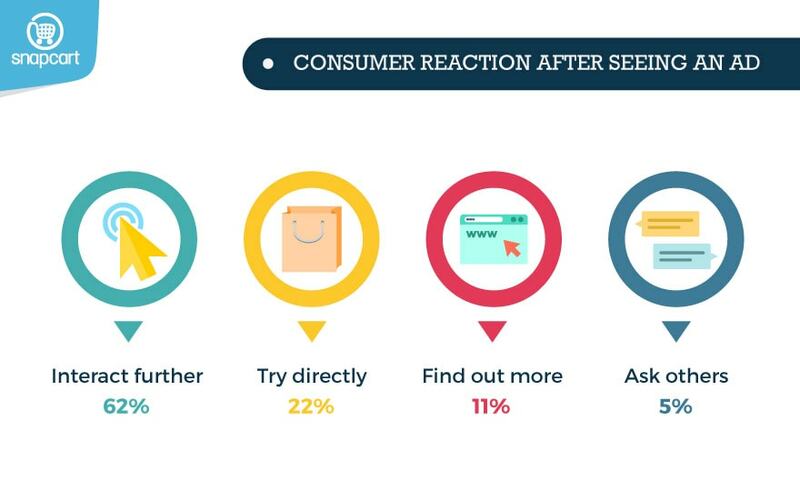 Those are the “Key moments” which are scattered throughout the consumer’s journey. Those moments are where advertisements should consider as vital touch points, and where they need to thrive, as those moments can make or break the consumer shopping intention. 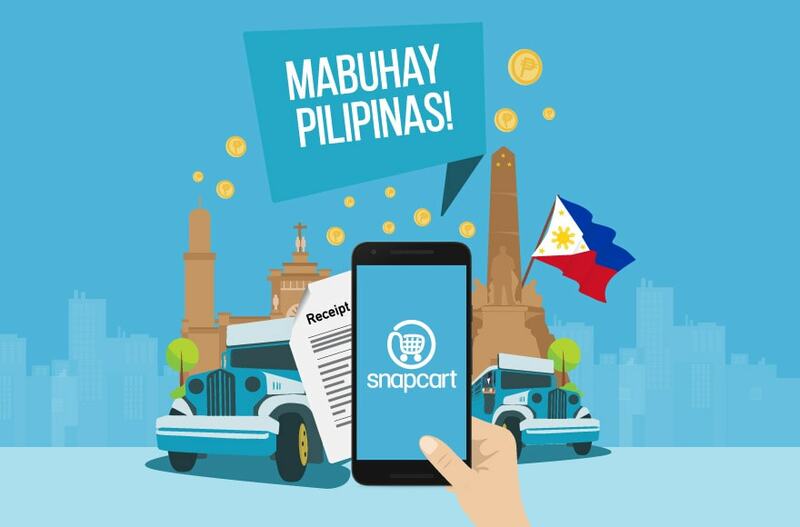 Snapcart conducted a survey, with 3,950 respondents coming from various age groups, socio economic status, occupation and education. We asked them about shopping and advertisement, trying to understand what happens when they’re on a shopping journey. 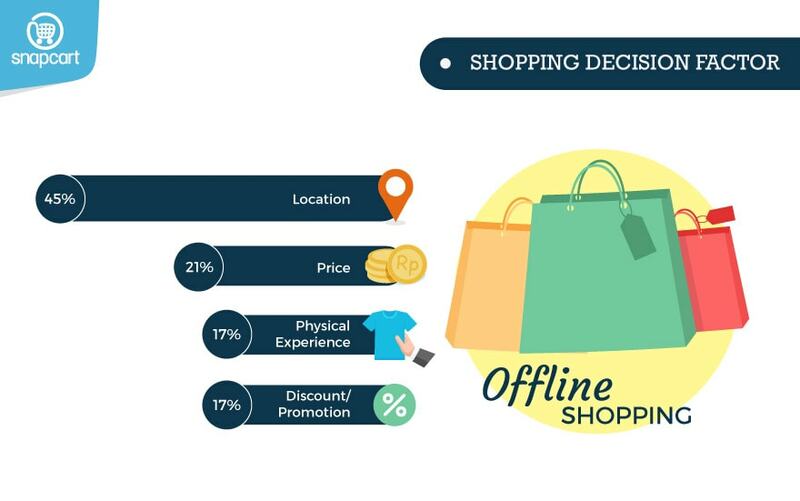 Location is the first ranked factor when shopping in an offline store. The easier to reach the better chance a store has to attract consumers. And when we compared between gender, 51% male chose location and only 39% in female, showing that male value location more than female. Price came second, saying that Indonesians are still price sensitive. And when we look further into our data, price as a factor has a higher percentage in female (23%) than male (17%), saying that female is more sensitive about price than male. While both gender still ranked location first and price second, but male are more skewed towards convenience and female more skewed towards the price tag. Two different roads when starting a shopping journey. As convenient as having a store located near the consumer, it is more convenient if we do not need to actually go. While having a physical experience in the offline store is more assuring, we can browse and compare more in and between online stores. Those two are some of the examples why 42% total respondent chose practicality as the main reason they shop online. 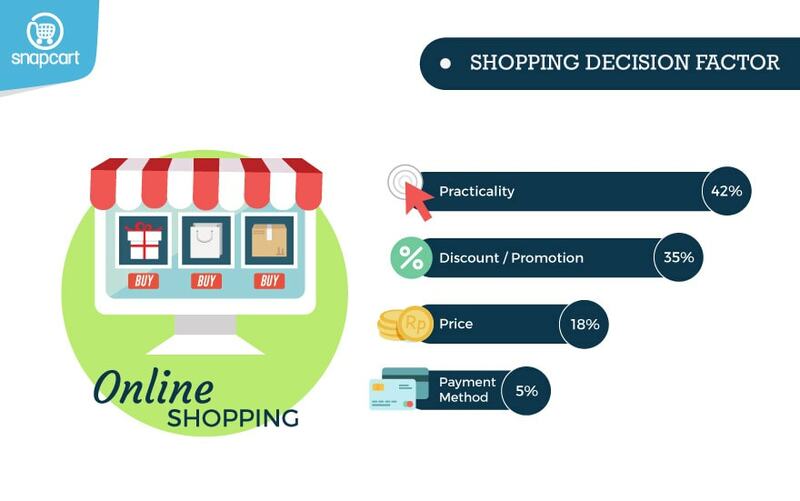 Discount and promotion, while also a factor for offline store, considered more important by 35% respondents when shopping online. 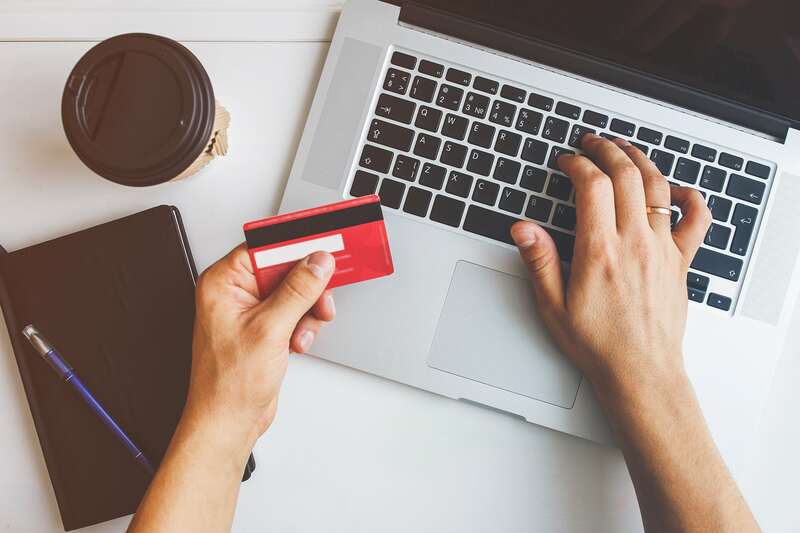 With the rise of online stores, fierce competitions force many e-retailers to offer extensive promotions and discounts to consumers. Those promotions have many forms from bonus to payment installments to free deliveries to flash sales and many more. 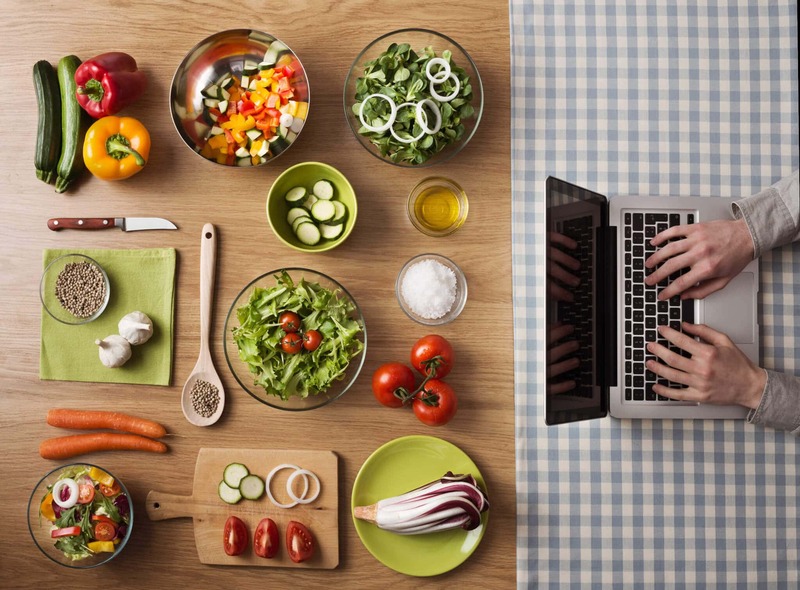 High competition, ease of price comparison offers, and digital marketing and communications all contributed towards increase in transparency of prices and deals to consumers making it easy for consumers to get the best value for money. Therefore, we see that discount and promotion (35%) trumps prices (18%) compared to offline shopping. 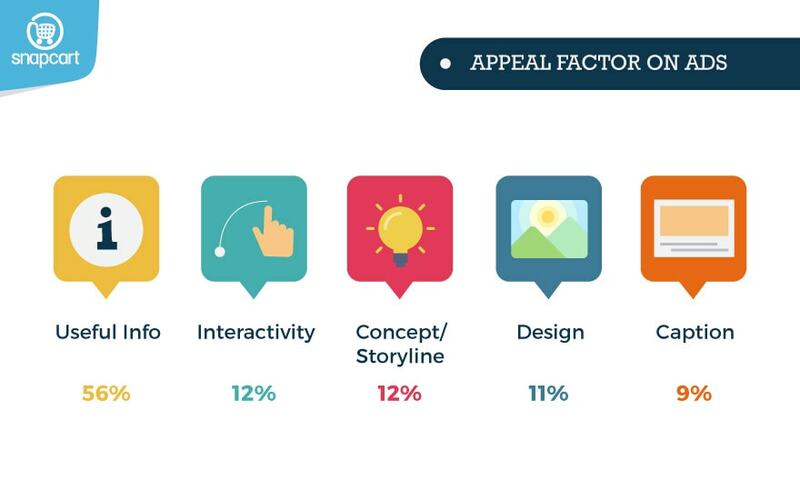 When we asked what makes an ad appealing, having a useful information and message came first with 56% of respondents answered it. Important info on ads, for example promotional code, how to get discount deals, or a straightforward message about the brands is still preferred by Indonesians. Substance over style. But the style is still important. It can make the content conveyed more appealing. Indonesians also like an ad that is interactive, as they can do something about it, rather than just see it. Concept / storyline and design also can be a factor, while caption on an ad ranked last. This can show that Indonesians are not easy to attract using only a bombastic caption, as it has to be well-designed ad to make them interested. Let’s say the consumer saw an ad and they are interested. What will they do? Curiosity is the first main response. They interact further with the ad, they try to find out more information from other sources, or they ask other for further knowledge or experience. They research and seek advocates. About three out of four respondents said their first reaction would be to find out more, expressing curiosity. A complete advertising environment tends to be more important. An interactive ad that can link to informative website and growing a loyal consumer base for example, will be much effective for brands. It’s not only the “ad” that matters, the environment surrounding it also matters. 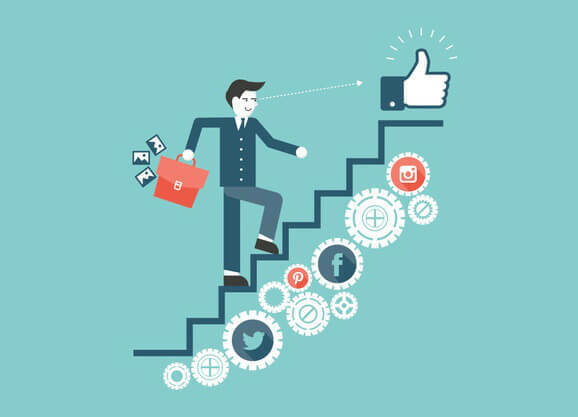 Social media became more and more important as an advertisement platform. When we asked what are the ads platform that the user aware, mostly answered online platforms, especially social media. A more “traditional” platform like television still came out strong at first, and billboard ranked fourth, but there’s a noticeable shift towards online platform and social media. Among all social media, Instagram garners the most votes. 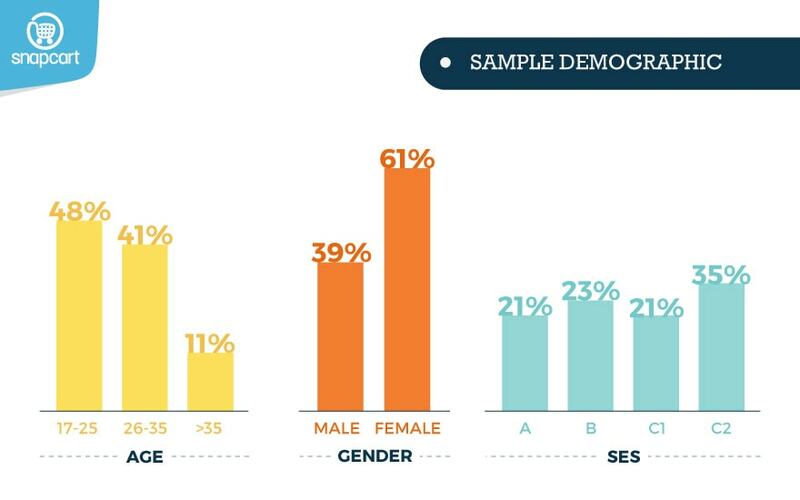 Instagram dominates heavily in female on all ages. 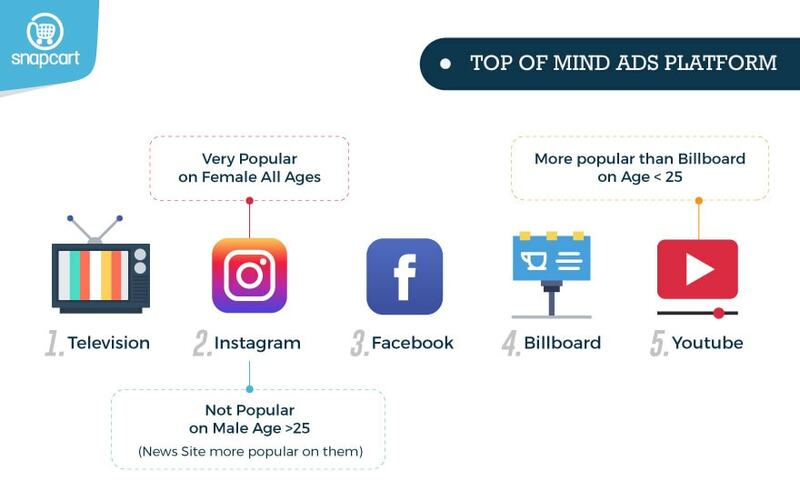 Bear in minds that the ads considered in Instagram is not only the ads shown by the Instagram itself, but more to the promotional post by social media influencers and post from the brands itself. A personal relationship posts between a social media influencer and the brands itself goes a long way as an influence in Instagram. While Instagram is very popular in female, it’s not the case for male older than 25 years old. News website is more popular to them. And for the young ones, Youtube is more popular than billboard. A rise of vlogger and review video, makes advertising in Youtube is not only about a simple ad shown before the video playing anymore. When shopping, a lot of factors are considered. 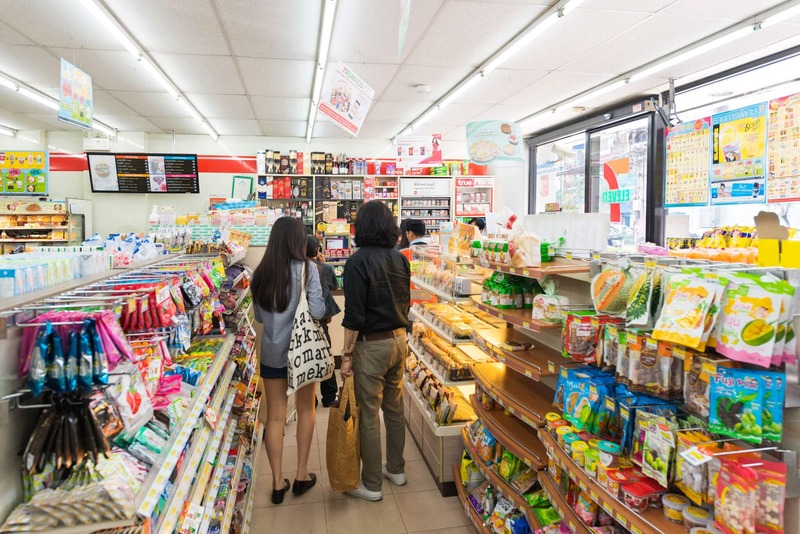 Convenience and price considered the most at offline store. An offer to a better in-store experience, better service with better price, can help to maintain consumer. At an online store, an easier shopping navigation will help. 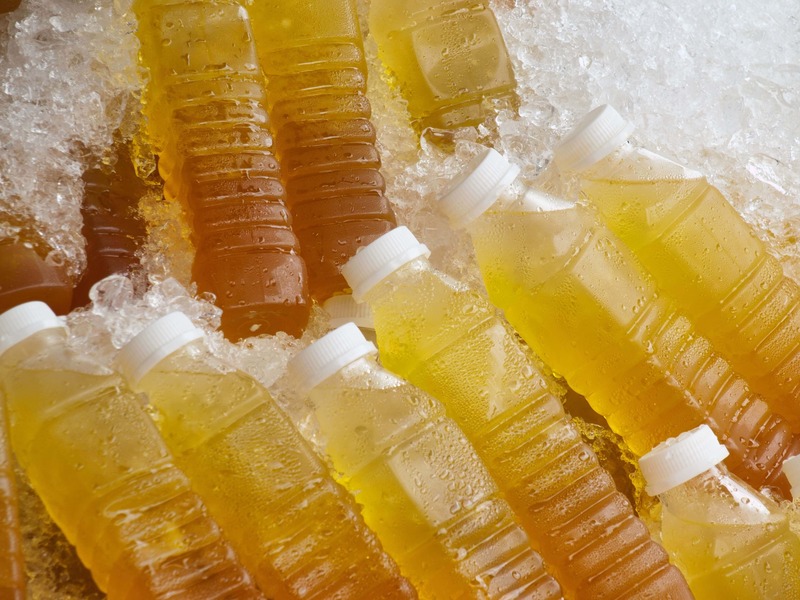 Adding variations of promotion that is not only about price / discount can also attracts and retaining more consumer. Advertisement came in many form and design, but at the end of the day, it should conveyed a meaningful information to the consumer. That’s what makes it appealing for Indonesians. A full advertisement environment that can help consumer while researching can go a long way to build interest and growing a loyal consumer base. Store should also strengthen their social media presence, since social media more and more relevant as an advertisement platforms. 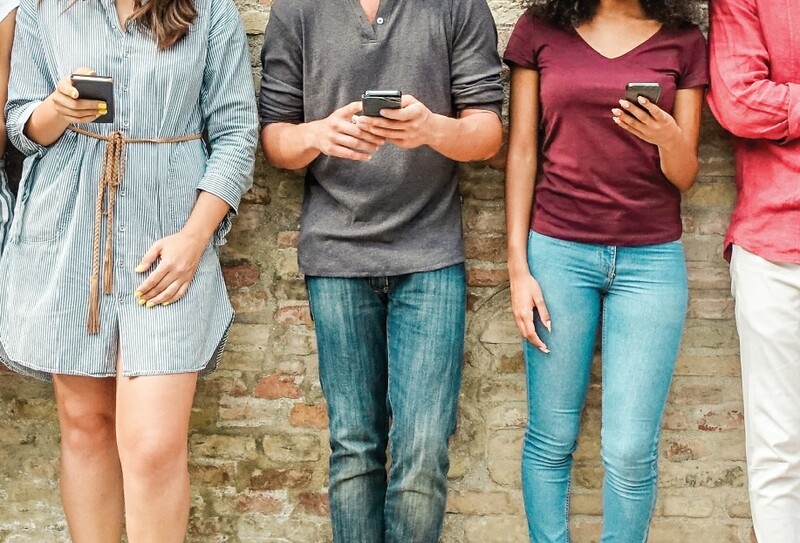 Instagram and Youtube are climbing fast on the younger audience, and a personalize post from an influencer can also offer an alternative from a more conservative platform. Insights and data are powered by Snapcart, the real time, multi-channel, big data analytics and engagement platform. Based on on survey data conducted between December 29th 2016 – January 3rd 2017.